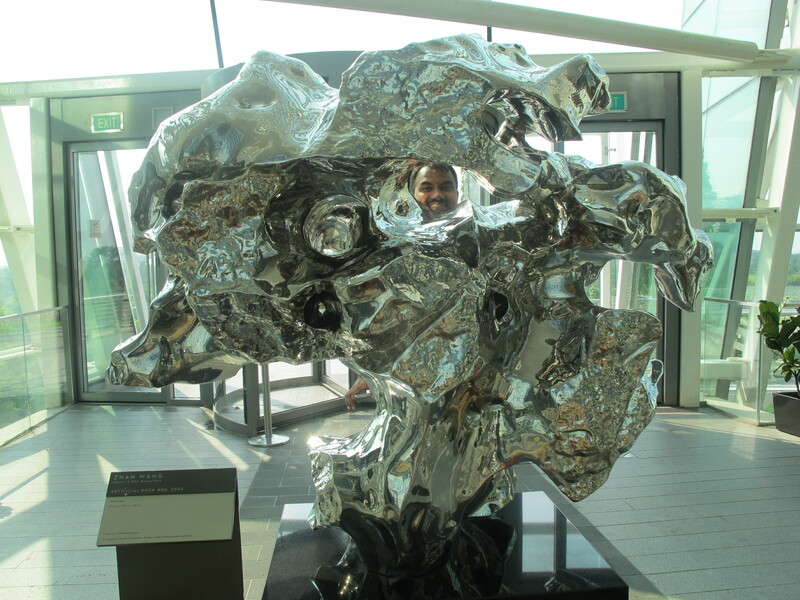 We spent two days in Singapore, visiting YMCA Singapore and The Metropolitan YMCA in Singapore. 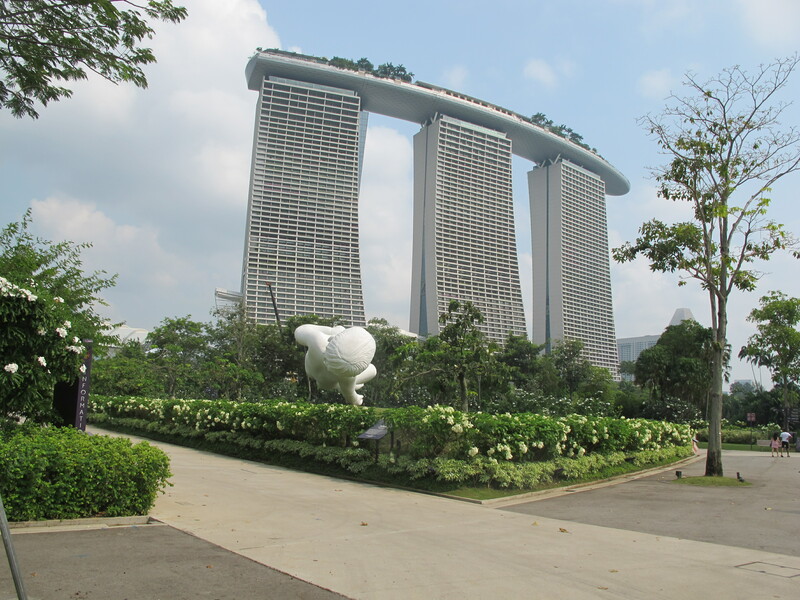 In-between hospitality and good meetings, partly planning for the future and more collaboration, we took time to visit the new fabulous tribute to Nature in Singapore – Gardens by the Bay. 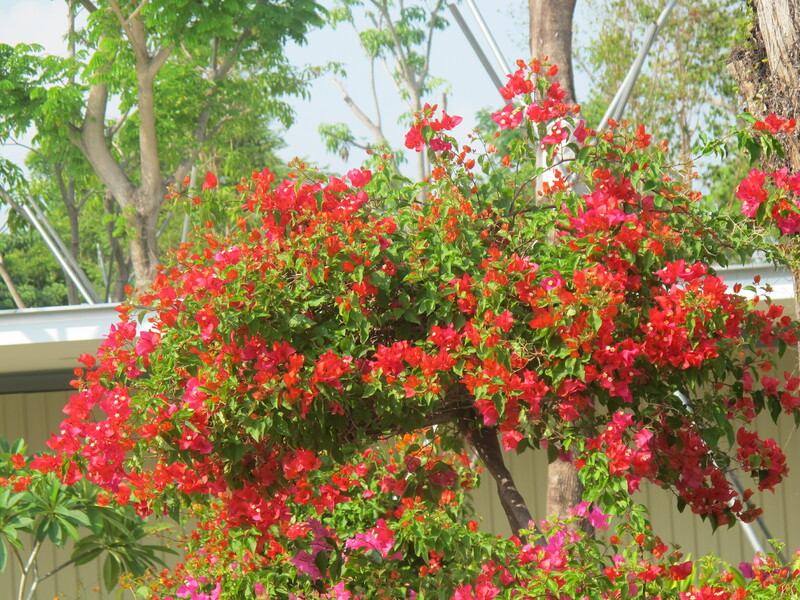 I have never seen anything like this garden, hundred thousands of plants, trees, flowers, bushes. 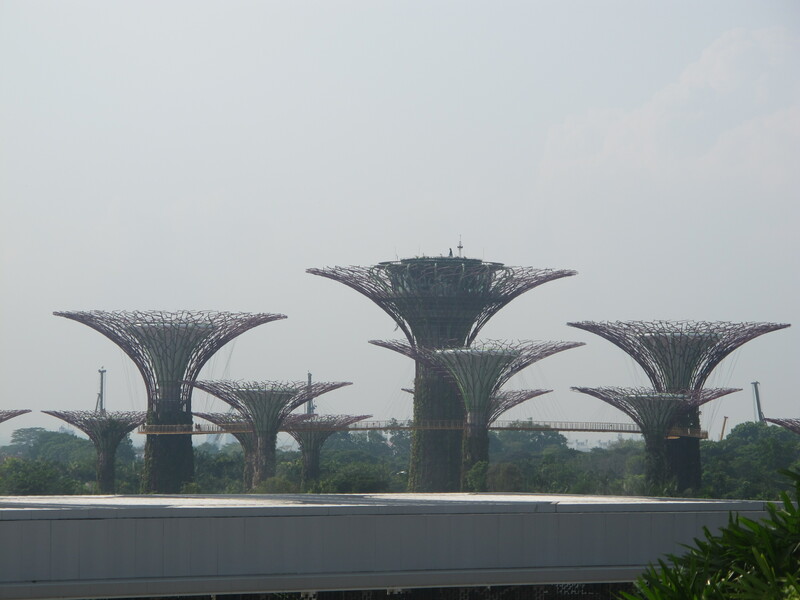 Vegetation from all climates, and some fascinating architecture at the same time. 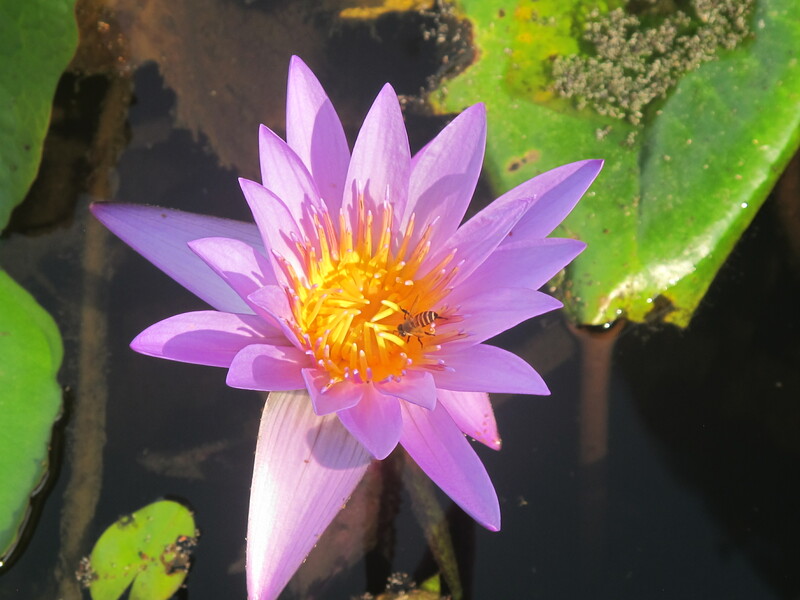 This bee had a busy time dealing with this water flower. 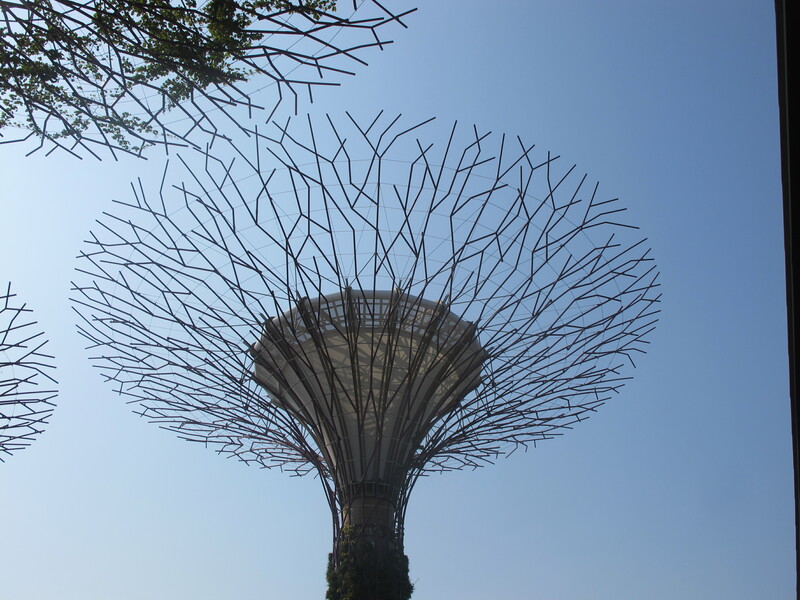 These unseen creatures are called Supertree Grove, and are partly artificial homes for plants and flowers, partly restaurants and exhibition halls. 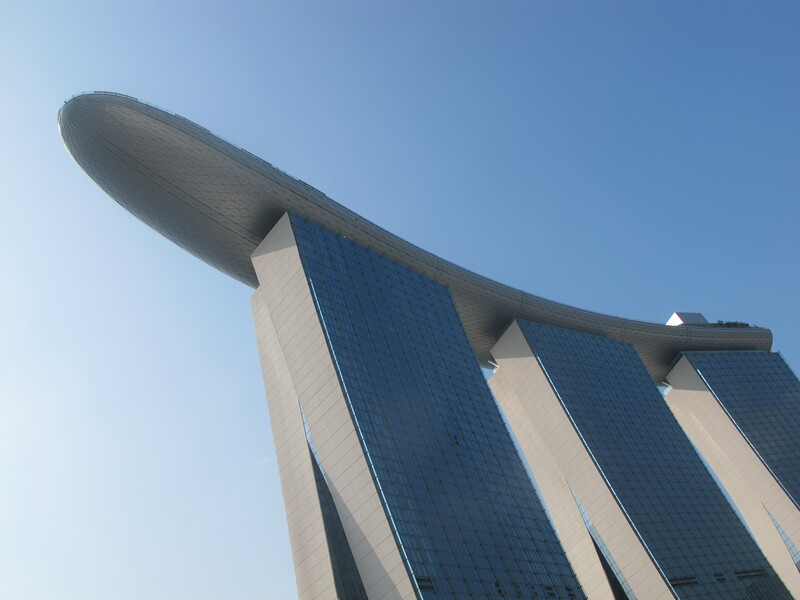 This ship shaped building is fascinating as well, but the content rather uninteresting – it is the casino. Here the same casino from another angle. 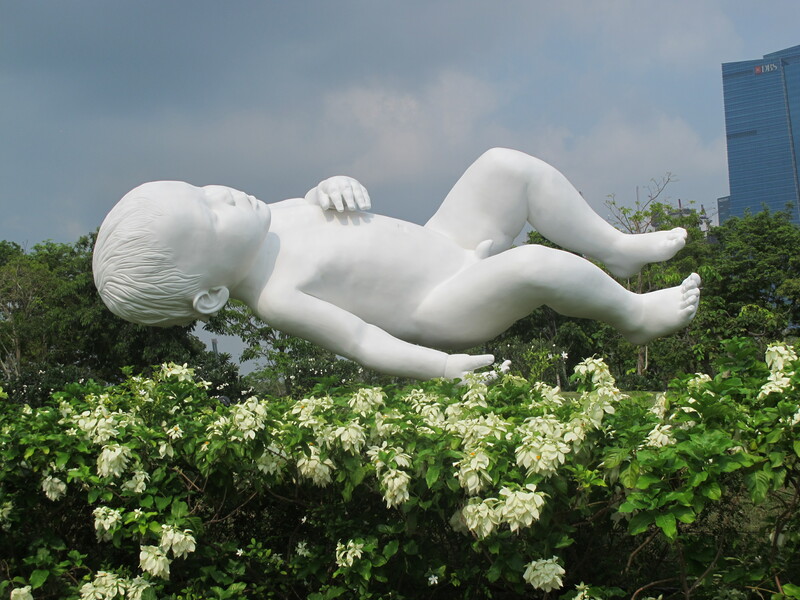 This statue of a gigantic baby is created by an English artist – sorry that I did not catch his name! Just for enjoyment and beauty! 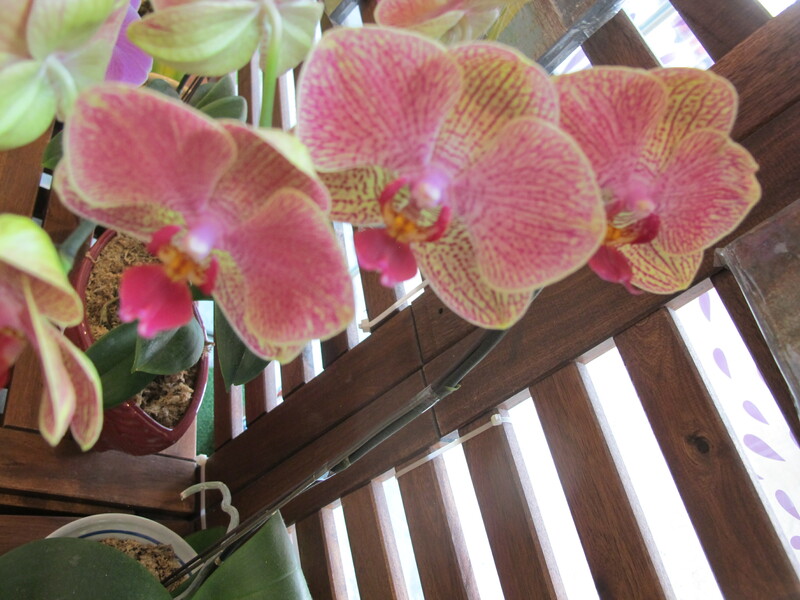 We were told that there is an Orchid dedicated to the YMCA, bearing the name of YMCA. 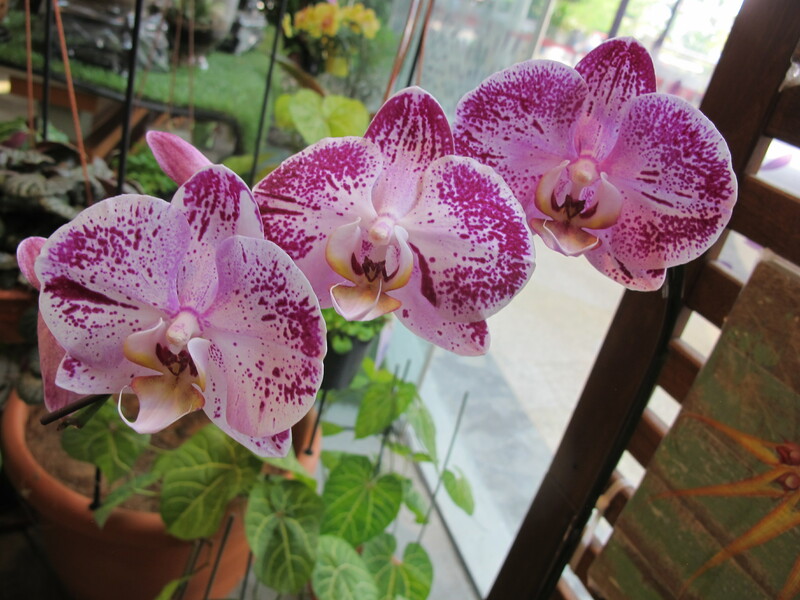 Unfortunately it is in the flower hospital, due to general weakness. Modern art with some personal touch from Kerala. 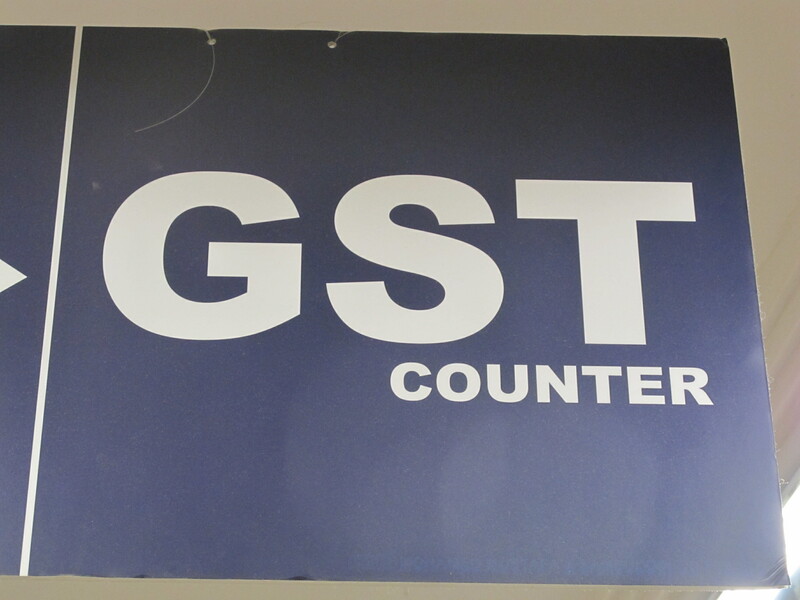 Below a big enough signpost to the area for the GST, Global Staff Team. 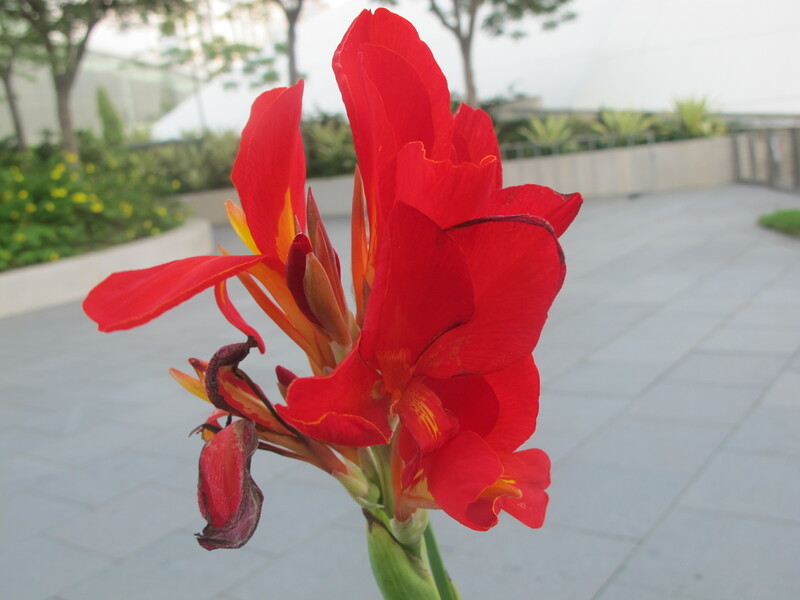 Thank you Singapore and I promise to spend more time in the Gardens at the Bay next time. 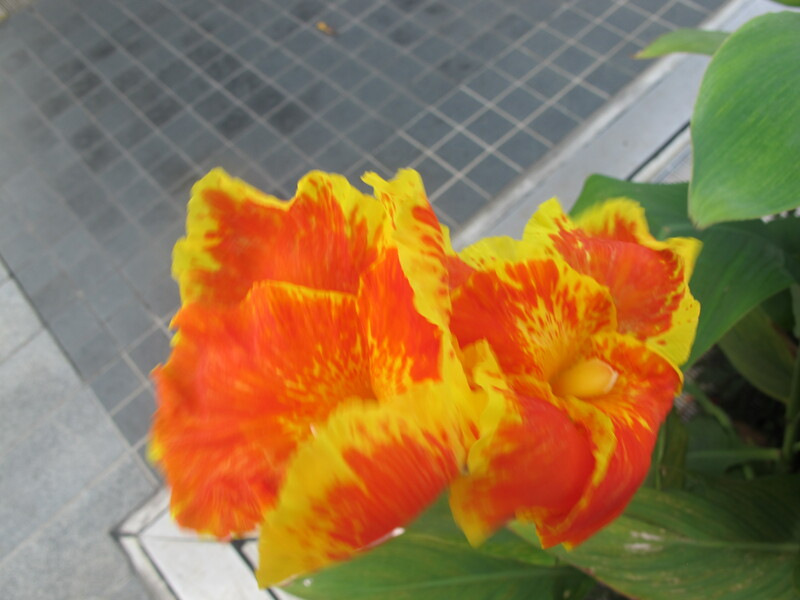 These Gardens are gorgeous… Singapore is a very interesting country, greetings to our Y colleagues there… thank you, Johan!